Kind of a random subject but worth thinking about if you haven't before. 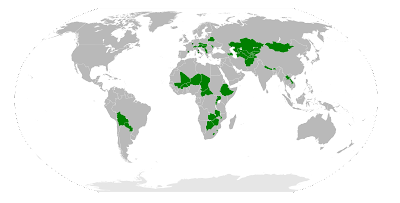 At the moment the world has 44 landlocked countries, as you can see in this map. Landlocked simply means that a country doesn't border an ocean, and in that sense it's technically correct for Azerbaijan, Kazakhstan and Turkmenistan. In practice though, a landlocked country usually implies all the disadvantages that come from a lack of access to the sea, meaning the inability to create a maritime industry, difficulties in international trade, etc. Countries like Switzerland, Liechstenstein, Nepal and Bhutan are clearly landlocked and have to work within those confines. Azerbaijan and the other two though are quite different, for two reasons. The first is obvious: they do have access to a sea - the Caspian Sea. Technically it's the world's largest lake, but in terms of size, historical status and use it's a sea. It's a bit of a microcosm of an ocean in that it provides access to other countries as well, even if it's just four (the three mentioned above plus Russia and Iran). Thanks to the access to the sea, these technically landlocked nations are able to have a thriving maritime industry and culture. It has a lot of caviar, oil, fish, etc. In terms of transport as well it's quite useful as it is the quickest way to go from Azerbaijan to Turkmenistan (both energy-producing countries), and there is quite a bit of ferry traffic as well. So these landlocked nations certainly aren't suffering there. Ships of up to 5,000 tons capacity can pass through the canal connecting the two rivers, which means ships even a bit larger than this one. Not too shabby. 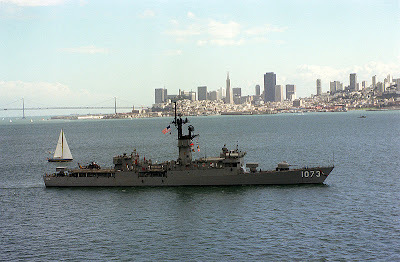 Having direct access to the sea in this way is not only helpful in trade, but also in international relations, as could be seen last year in the war within Georgia over South Ossetia, when a number of nations sent ships into the Black Sea to help out one side or the other. 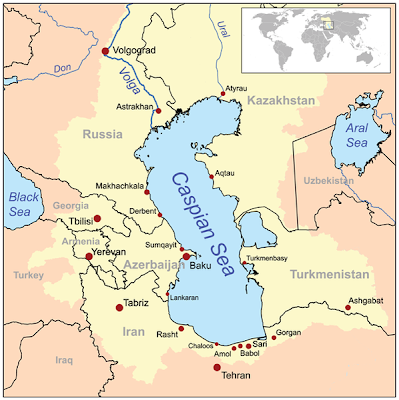 I don't remember any ships being sent from the Caspian Sea there, but it's technically a possibility, so a ship docked at the Caspian Sea technically could set sail and make its way to the Black Sea or beyond. 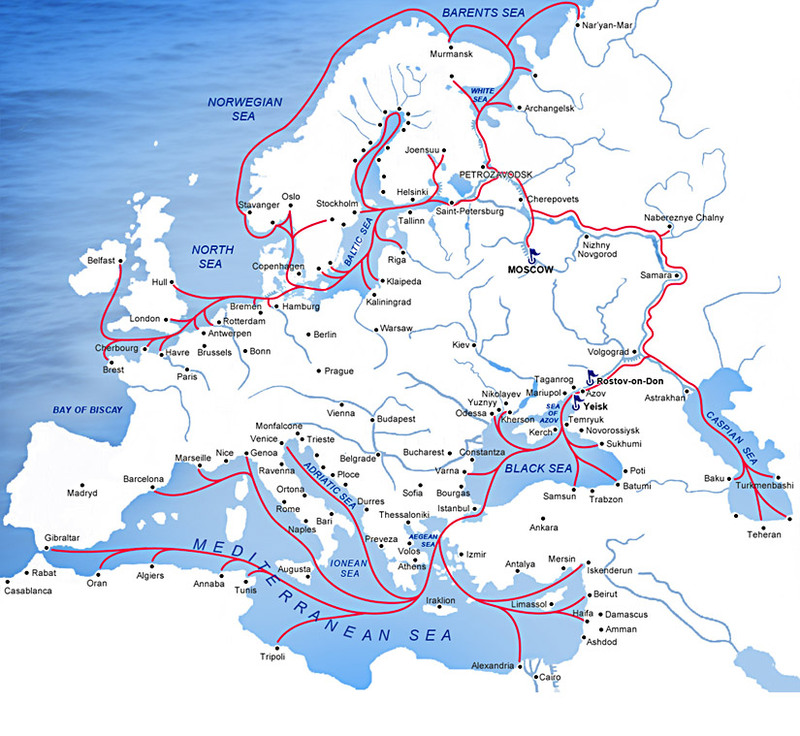 You can see a map here from a company that trades in the area that shows how you get from the Caspian into the larger seas and oceans to the west. Out of the three nations though, Azerbaijan is certainly the one that feels the most maritime. Kazakhstan's capital and largest city lie way off to the east. Turkmenistan feels a little less isolated from the water with its smaller size and a capital much closer to the sea than Astana. Azerbaijan, though, has its capital and largest city (Baku) right on the Caspian, and has an economy largely centred on the oil that comes from the Caspian. Since Azerbaijan wouldn't be Azerbaijan without the Caspian Sea, it feels a bit weird to call it a landlocked country when a country like the Democratic Republic of Congo isn't landlocked simply for having a tiny strip of land that borders on the ocean. There's no need to redo the definition of a landlocked country, it's simply worth bearing in mind that these "landlocked" countries can vary immensely. As you point out in your example of the Volga River, many of the benefits of access to the sea can be conveyed by a large, navigable river. The DRC may have only a small section of land bordering the sea, but the size and flow of the Congo River allow it serve as a means for transporting all sorts of goods. Plus, a combination of railway and river shipping allows the river to serve as an outlet to the international market for most of those land-locked central African countries.